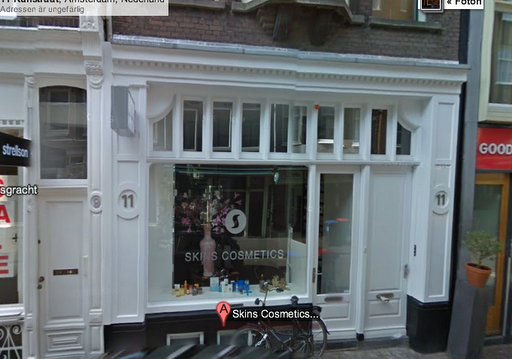 There is no limit to my love for Skins in Runstraat (11) in Amsterdam. The combination of my most beloved city, this street AND this store is almost more than I can handle. Everyone in the store is charming, professional, skillful and assist you on your perfume quest with total knowledge and understanding. Last time I was there I bought a limited edition by Kilian and got so lost in fragrance conversations I almost (really…) missed my flight home. I have run across Schiphol many times, but never so happy and great smelling. The selection of brands and products in the store is exquisite. You find your favorites, limited editions, suprises and new unique discoveries. I love love love Skins in Runstraat. Go there if you can. And if you can’t – enjoy their excellent web shop. Also love that they have Swedish Byredo which makes my nose proud of being from Sweden. 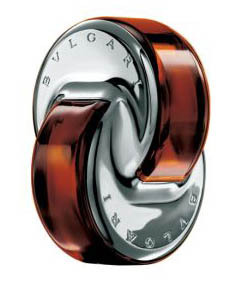 Bvlgari released Omnia in 2003. I was at that time a young woman taking the first steps in my career and hadn’t really even thought about perfumes that much at all. I suppose in a way I was more into discovering myself than defining myself. But it was winter and I was buying Christmas gifts and wanted to buy something for myself. To commemorate this time in my life. I went to the perfume section of Stockholm department store NK. The first time I tried Omnia it felt sort of self-evident but not in a sensational way. Just, ”yes, there it is”. I adored the unusal bottle however. Since then I have bought many perfumes, some have been perfect for a while, for specific situations or for more. But the only fragrance that has stayed with me, and by far the one that I get most comments about is this one. I have noticed that for one, not many people know it at all, and then those who do either love it or hate it. Actually more often the latter. Thus, when I go to get a new bottle it is never easy to find. I have to order it or wait while someone goes to see if they have one ”in the back”. Omnia was created by nose Alberto Morillas. The fragrance was said to have been inspired by the spices discovered by Marco Polo on his voyages. The notes include black pepper, mandarin, masala tea, saffron, ginger, cardamom, cloves, cinnamon, nutmeg, almond, chocolate, lotus blossom, and sandalwood. The lotus is discrete which I am happy about and the Christmas dessert feeling only lasts for a brief moment. Then it lands in this soft saffron, cardamon embrace. Sometimes you feel the clove just briefly. I love this fragrance. It is a non-choice for me, I don’t have to be in a particular mood to carry it off, not wear anything special. It is never ”too much”. It just blends with me. I always return to it at some point even after longer periods of infedility. It’s is a sort of default fragrance for me. And the nostalgia of it makes it special. Also, the fact that I rarely, if ever, meet someone else who has it makes it feel even more ”mine”. There have been new versions of Omnia since the original first one. These however I do not get along with at all.